‘Wild swimming’ is a British term used to refer to swimming in any watery environment wilder than an indoor pool. This term is a reminder that in the UK, where there are few public outdoor pools, swimming at a public pool is normally an indoor activity. In Australia, where there were very few indoor public pools prior to the 1970s, swimming is still typically thought of as an outdoor activity. 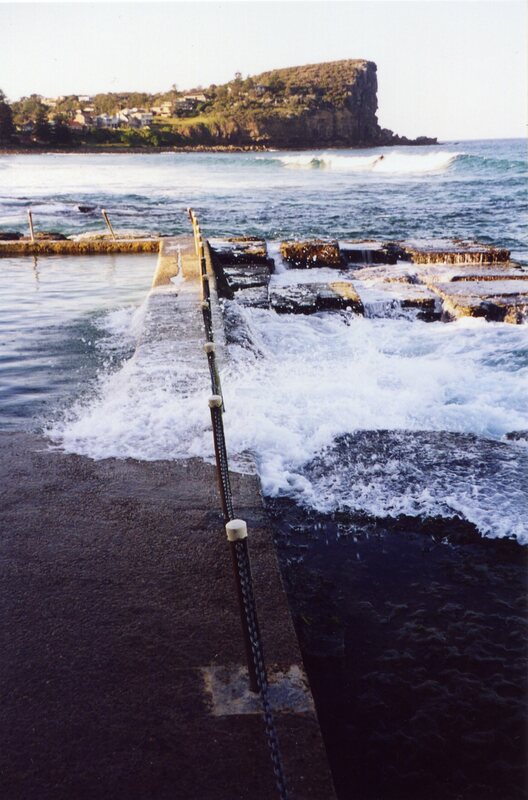 While most Australians would not consider swimming at a filtered, chlorinated outdoor public pool as a wild form of swimming, they would acknowledge that ocean pools offer a wilder swimming environment than any other type of public pool. The 2015 book, Wild Swimming Sydney Australia: 250 best rock pools, beaches, rivers and waterholes by Sally Tertini and Steve Pollard regarded both harbour pools (such as the Dawn Fraser Baths in Sydney Harbour) and ocean pools as wild swimming environments. Since this book also regarded the Sydney region as encompassing most of the state of New South Wales, it listed ocean pools in Sydney, Newcastle, the Central Coast, the Illawarra and the South Coast among its wild swimming environments. 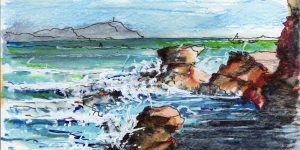 All into Ocean Pools Inc has therefore linked each of the ocean pools mentioned in their book to this wild swimming topic. 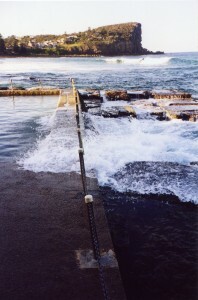 Even the Huskisson Sea Pool in Voyager Park on Jervis Bay rated a mention as a wild swimming environment.